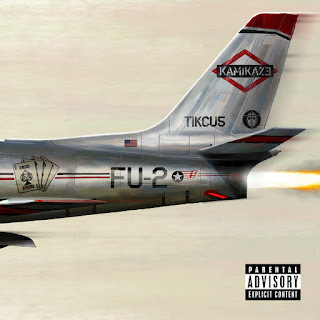 After teasing a song off the upcoming Venom soundtrack just hours ago, Eminem drops a surprise album called Kamikaze out of nowhere. The 13-song effort comes with guest appearances by Joyner Lucas, Royce Da 5’9, Jessie Reyez, and more. It’s executive produced by Dr. Dre and Slim Shady himself.